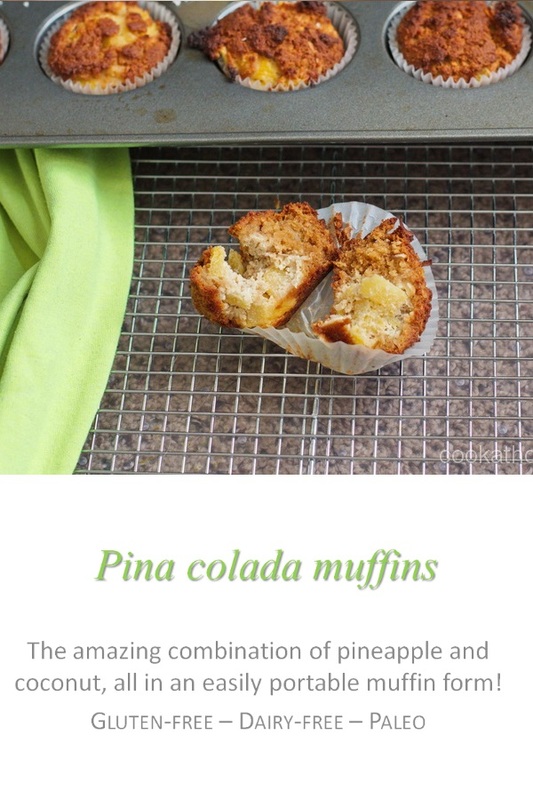 It’s like a pina colada in your mouth – but in muffin form! Who loves the combination of pineapple and coconut in the classic drink – the pina colada? 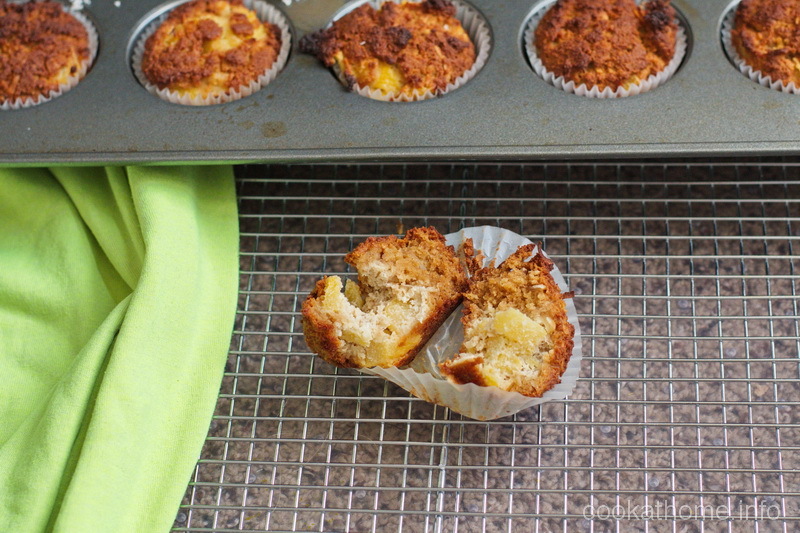 Well, let me introduce you to these pina colada muffins! I have to give Grant the credit for the idea of this recipe. And thanks to my time at the Farmer’s Market, where I had to think a little bit on my feet to offer some new ideas throughout the season. I wanted to provide another option of a healthy (i.e. no refined sugar) muffin. And something different than just chocolate (although there is nothing wrong with chocolate in the slightest!). So I was brainstorming with Grant one night about what other recipes I might be able to use at the Farmers Market. And I remembered my strawberry basil muffin recipe. Now, this recipe can be dry, and it can be incredibly crumbly. If you find that the batter just isn’t coming together, try adding 1 tbs of pineapple juice (from draining the chunks out of the tin). If too moist, add a little more almond meal (and remember for next time to drain the pineapple a little more). 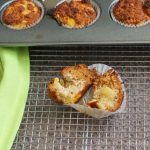 I found that when I was making these for the farmers market, just a little more pineapple juice helped the texture, as well as added a bit more flavor to the muffin part. And who can resist big pineapple chunks in their muffin, as well as the sweetness of the coconut? I ask you … and let me know in the comments below what you think! Preheat oven to 350F. Line a muffin tin with paper liners. Mix eggs, honey, coconut oil and vanilla in a medium bowl until smooth. Add almond meal and baking soda and mix until just combined. Fold in pineapple chunks and coconut, being careful not to over-mix. Spoon the batter into the muffin tin, filling to the top. Bake for 25-30 minutes, or until the tops are golden brown and a toothpick inserted into the center comes out clean. Leave to cool in the tin for at least 10 mins before trying to remove but don't leave for too long or they will become soggy.